Through the creaking gate, you'd best beware. A spooky mansion awaits...Enter if you dare! 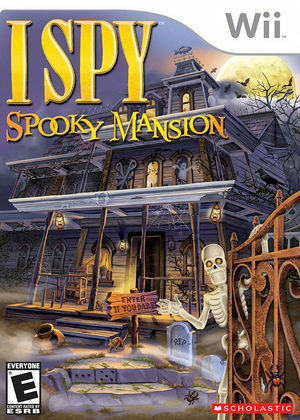 In I SPY: Spooky Mansion a mischievous skeleton traps you inside his spooky mansion challenging you to find his secret way out. Explore a mysterious old house where multiple players can explore and search for over 400 objects in over 30 I SPY riddles. Break codes, solve mazes, fix a ghost machine and more while playing over 30 interactive mini-games! Multiplayer options allow up to 4 players to solve riddles, play games and escape the Spooky Mansion! The graph below charts the compatibility with I SPY: Spooky Mansion since Dolphin's 2.0 release, listing revisions only where a compatibility change occurred.